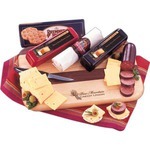 Food Gifts - Custom Printed Promotional Items - WaDaYaNeed? 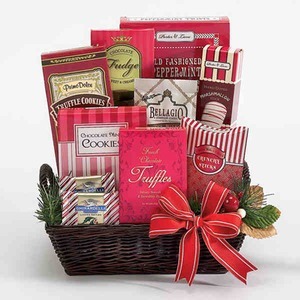 Related items you may also like! For fastest service, please call us toll-free at 1-800-958-4332. Our friendly, knowledgeable staff are ready to assist you with the entire order process! As Low As: $0.32 each! 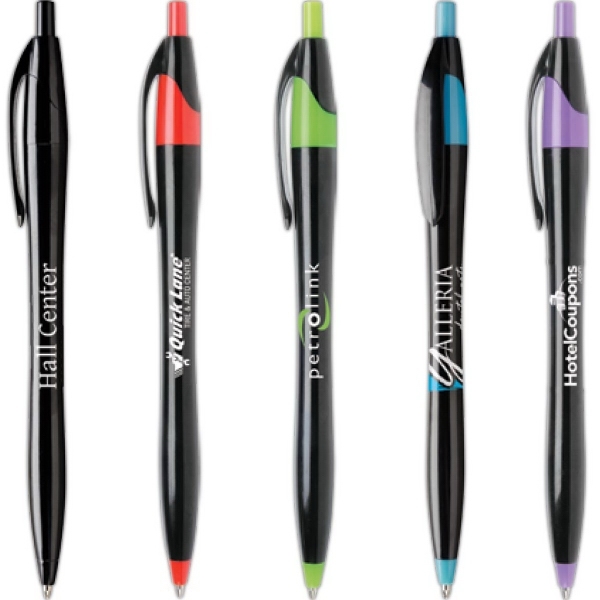 This ultra-smooth writing pen will ensure your logo is seen wherever your recipients take it! Picked up and used on a daily basis, the Javalina Platinum Pen will be a constant, but subtle advertisement for your brand. 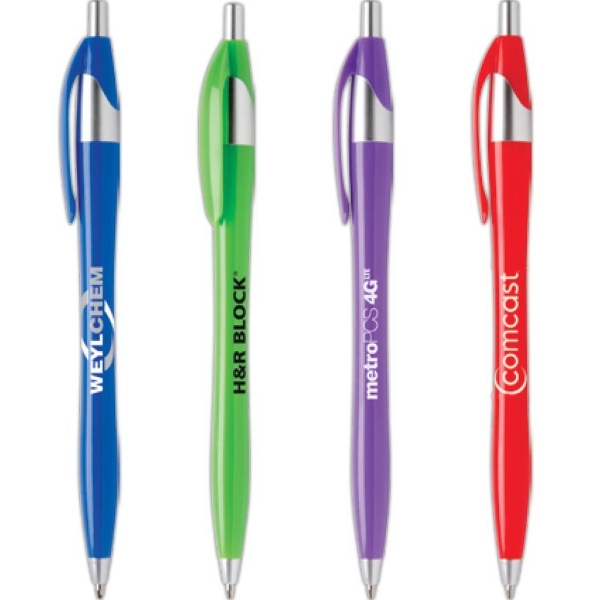 Available in bright glossy colors, this plastic click-action ballpoint has a shining platinum trim, a unique shape that fits comfortably in your hand and your choice of blue or black ink (default ink is blue). Recommended imprint colors are silver and white. As Low As: $0.30 each! 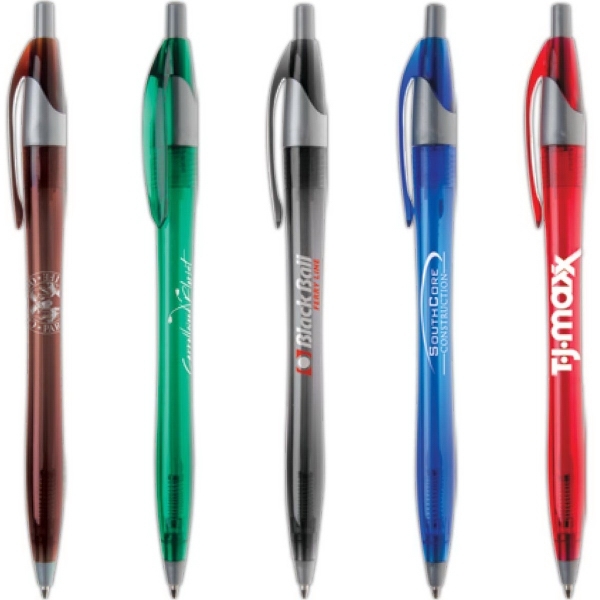 Like a diamond in the rough, the JavalinaÃÂÃÂ®Jewel Pen will make a stunning addition to your next marketing campaign! 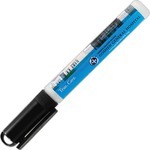 From our extremely popular line of best-selling ballpoint pens, an ultra-smooth writing experience is guaranteed with your choice of black or blue ink (default ink is blue). 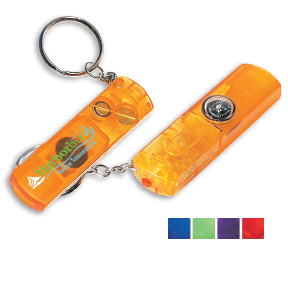 With five hot translucent barrel colors offered and silver accents, all that is needed is your imprint to make this a promotional winner! Don't leave anyone in the dark! Supply clients and customers with the glossy black Javalina Midnight Pen and remind them of your business every time they need to jot something down. This click-action ballpoint pen features vibrant colored trim, a slim line hourglass shape for writing comfort and a guaranteed ultra-smooth writing cartridge. Choose between black or blue ink (default blue ink). As Low As: $1.17 each! Have some fun during your next campaign! 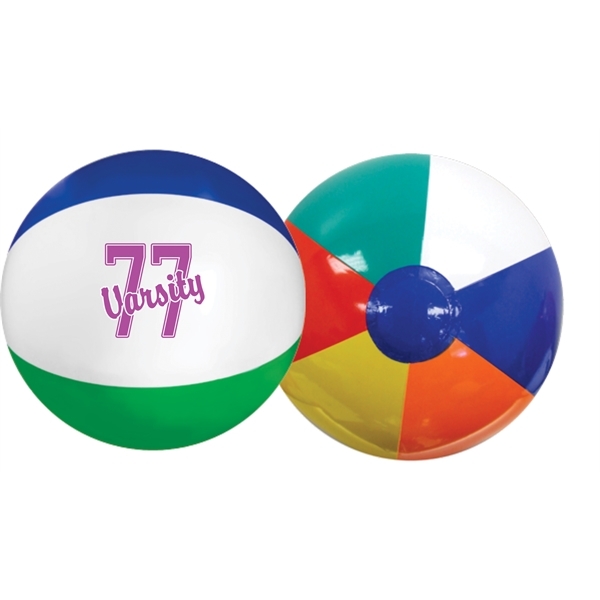 This multi-color beach ball has white, blue, red, green, orange and yellow panels. 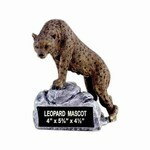 Add your logo for an excellent opportunity to promote your brand. 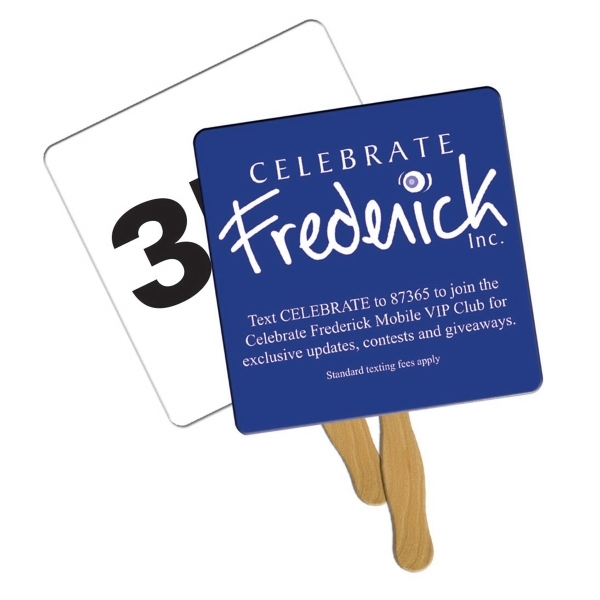 Trade shows, fundraisers and conferences are all terrific choices to feature this giveaway. 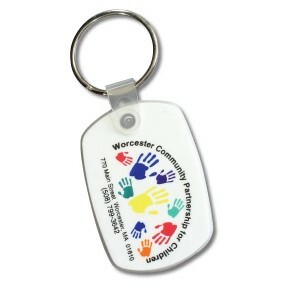 Multi-color imprints available! Beach balls are measured inflated from pole to pole. The product size is average, actual size may vary. 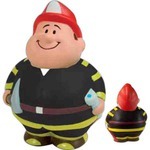 Do not inflate using air compressor. 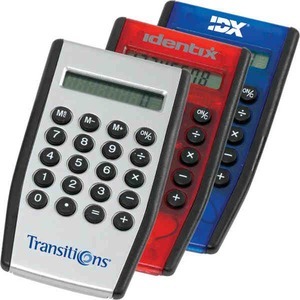 Indicate preferred color panels for multi-panel imprint. As Low As: $0.35 each! 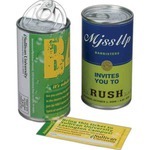 BIC Medium Stock Magnet, 20 mil. 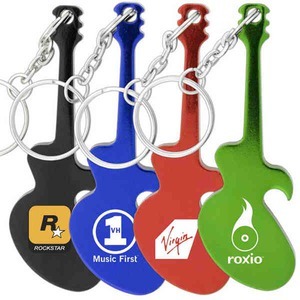 Unique shapes show off any logo and make it stand out in the crowd. As Low As: $0.29 each! 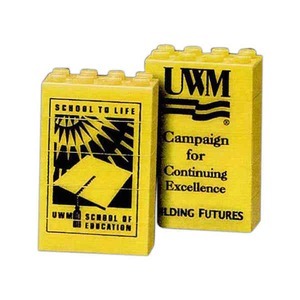 Business Card Magnet, 30 mil. 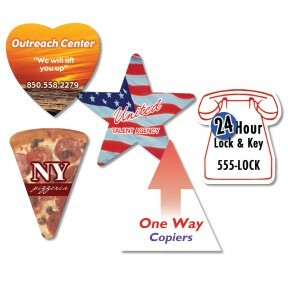 Business card magnets keep your message in front of your clients. 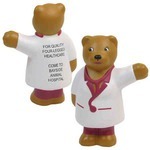 Price includes full-color (four color process) imprinting on one side. As Low As: $7.59 each! As Low As: $8.77 each! 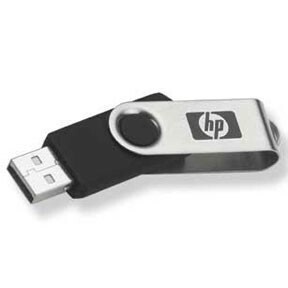 32GB USB Swivel Flash Drive. 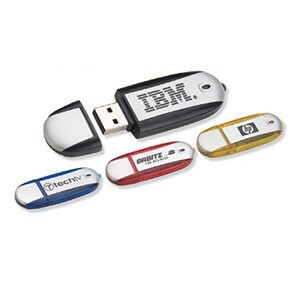 2.0 speed USB drive. As Low As: $1.94 each! 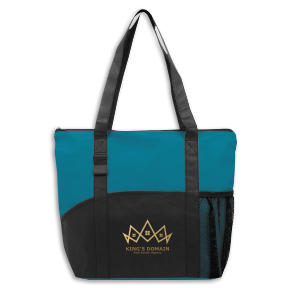 Poly Pro Pocket Totes. 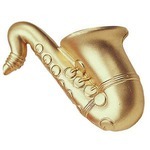 Great for everyday use! 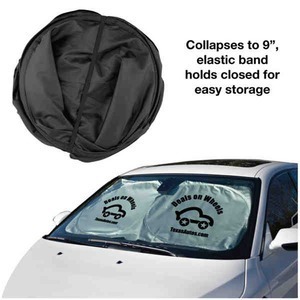 Made from non-woven polypropylene. Includes two front slip pockets and a mesh pocket sized for a water bottle. 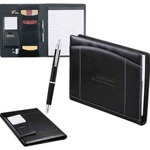 The two pen loops on the front make it perfect for students and executives. 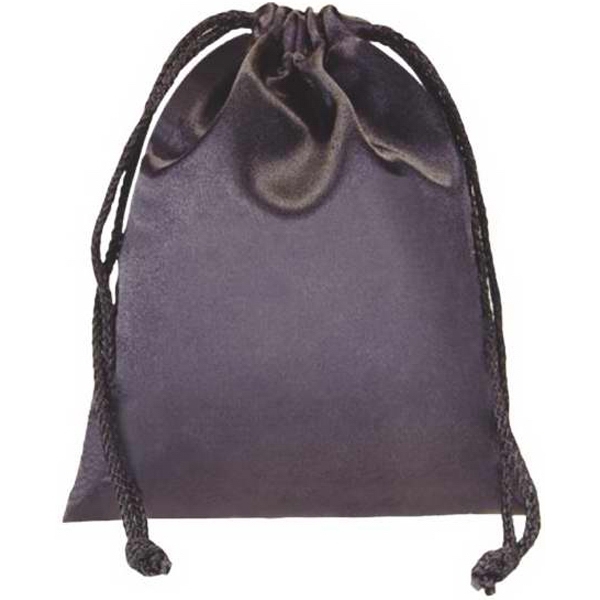 The zippered closure keeps all items secure inside. 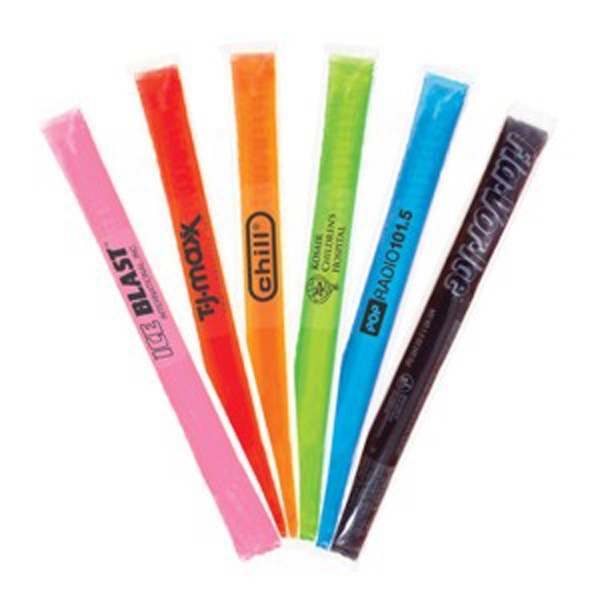 As Low As: $1.80 each! 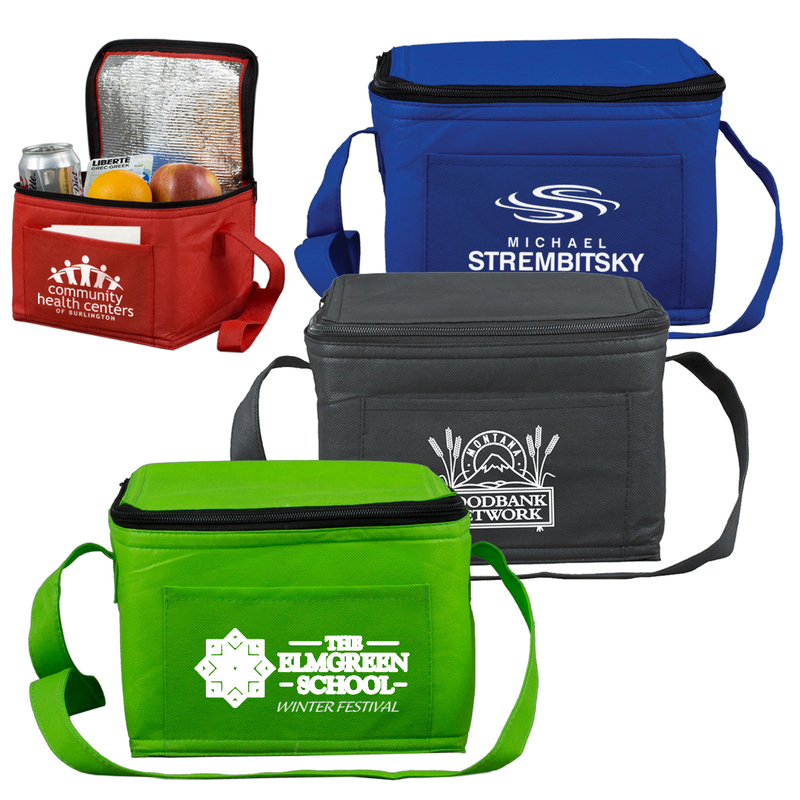 80GSM Non-Woven "Cool-it" Insulated Cooler Bag. 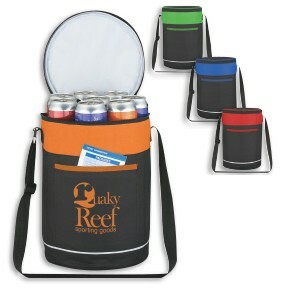 This insulated 6-pack cooler is the eco-friendly choice at a great price. 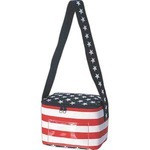 Perfect for transporting lunch or drinks to a game, school or the office. 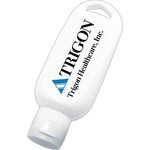 Features a thermo lining, zippered closure, front pocket and handle strap. 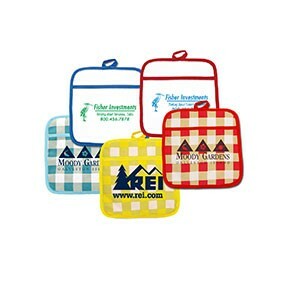 Foam insulated with lead-free aluminum lining to help keep your food or drinks preserved for hours! As Low As: $5.66 each! 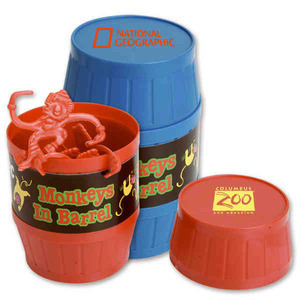 Barrel Buddy Round Kooler Bag. 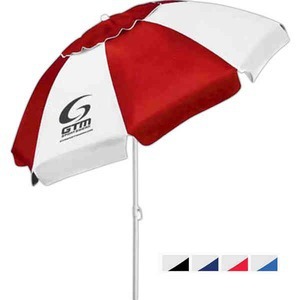 Made of 600D polyester with PEVA lining. Adjustable shoulder strap, top zippered closure. Large outside front pocket. Holds up to 14 cans. As Low As: $2.10 each! Sports Backpack with Outside Mesh Pocket. 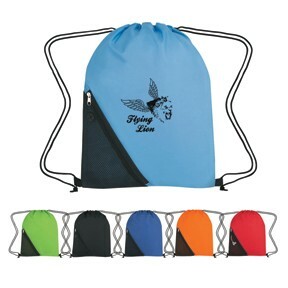 This Sports Pack comes complete with a mesh front zippered pocket, perfect for storing a phone. It even has a built-in slot for ear buds. 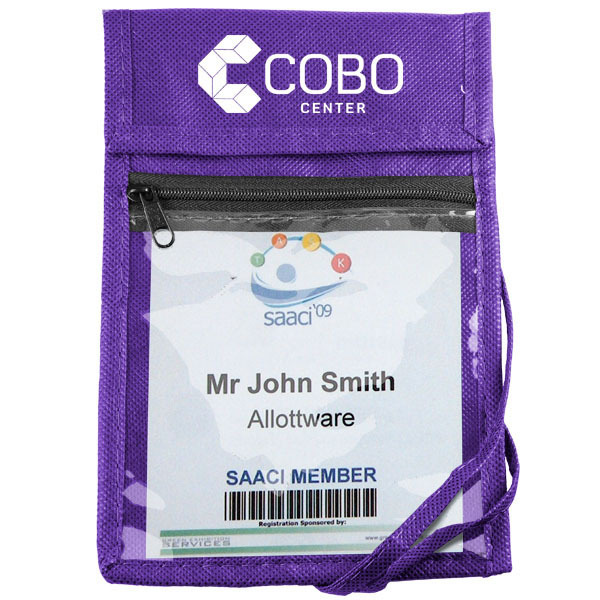 Made from 210D polyester, this bag is great for a day out, trip to the gym or a sporting event. It has reinforced eyelets to help stand the test of time. 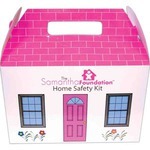 The drawstring pull ensures belongings will be safe. As Low As: $1.03 each! 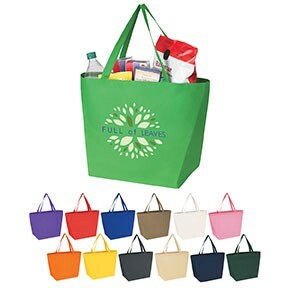 Non-Woven Budget Shopper Tote. 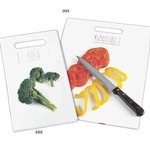 Instead of relying on plastic or paper bags, invest in the Non- Woven Budget Shopper Tote - a reusable and durable bag that will continue advertising on every shopping trip. 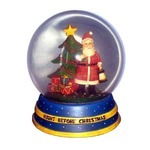 It is made from 80 gram non-woven, coated water-resistant polypropylene. The 20" reinforced handles provide for more comfort in carrying, and the 8" gusset makes for a lot of space! It's also recyclable for when it's finally worn out. As Low As: $0.75 each! As Low As: $5.67 each! 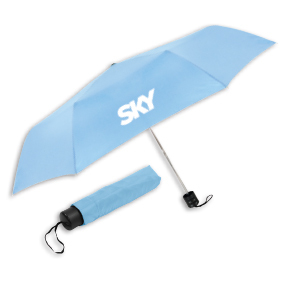 Best-Value Folding Umbrella. 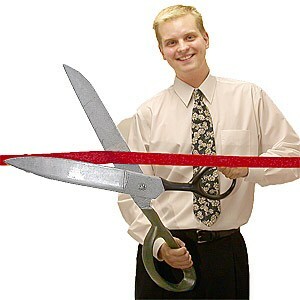 41" arc manual opening. Folds to just 9" Long. Steel shaft, Fiberglass end ribs, matte black handle with wrist strap. Includes matching case. 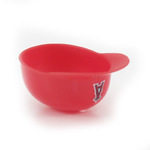 Weighs less than 12 oz. As Low As: $1.49 each! 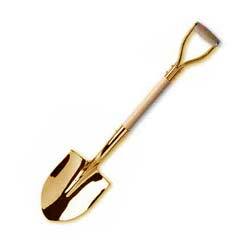 Deluxe Heavy Duty Ice Scraper. 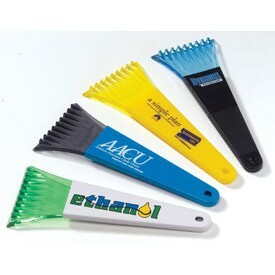 Mix & Match handle & blade colors. Plastic grip handle with sturdy 1/4" thick blade. As Low As: $0.69 each! 9" Flyers. 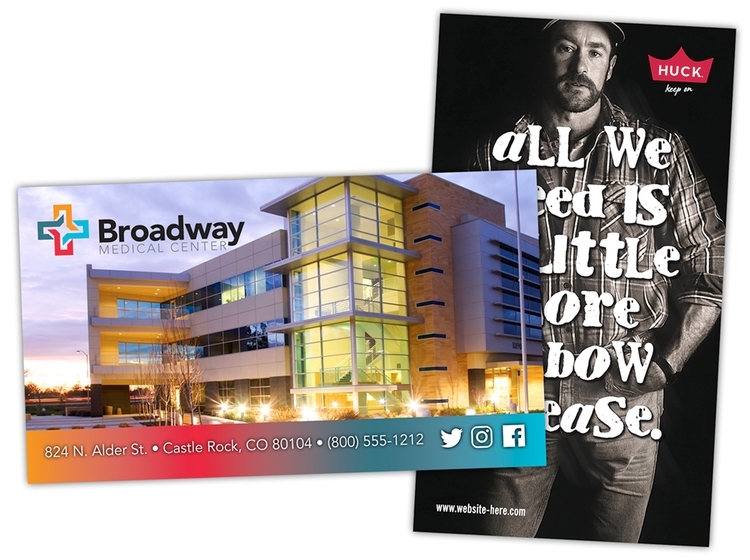 These 9" Solid & Translucent Color Flyers are packed with promotional value - and fun! 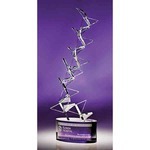 Aerodynamically designed for perfect balance & long smooth glides. 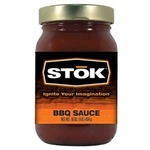 Great for picnics, sporting events or anything outdoorsy. 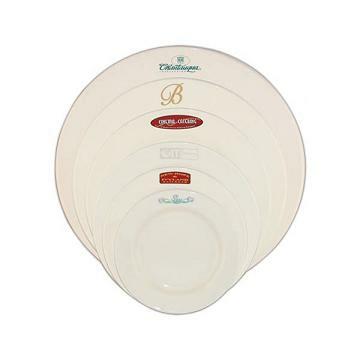 The flyer can double as a paper plate holder, too. 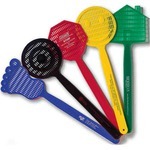 Available in solid or translucent colors for colorful, high-flying advertising. As Low As: $0.40 each! 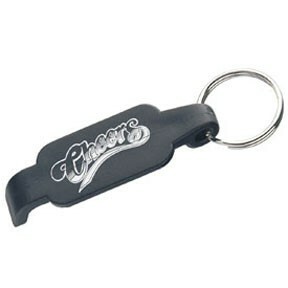 Bottle Opener with Key Ring. 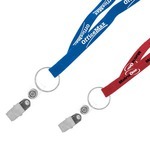 Key holder with plastic bottle opener. 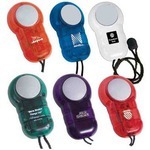 Makes a great promotional gift. Perfect for bars & restaurants. As Low As: $0.13 each! 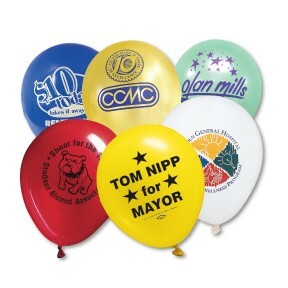 Advertising Balloons. Extra-large, 100% degradable latex. 3 helium quality sizes available. Silk screened balloons. Imprint remains bold & vivid when inflated. Great for parties! As Low As: $1.25 each! As Low As: $165.00 each! Standard Enviro Throw Tablecloth. 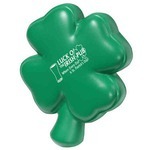 An environmentally friendly tablet throw for your event needs. Same look and feel as the regular polyester/poplin fabric. 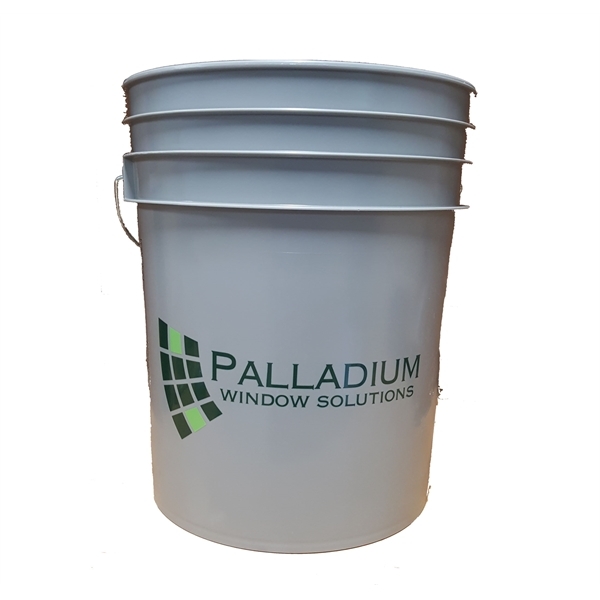 Made from recycled material from discarded plastic water bottles, It is flame retardant treated, machine washable and wrinkle resistant. As Low As: $1.69 each! 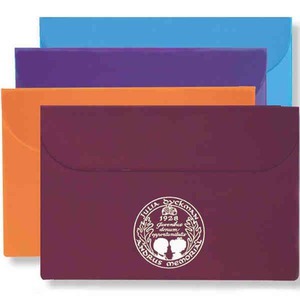 Therma-Grip Pocket Pot Holders. Great counter top protection with this cotton pot holder. 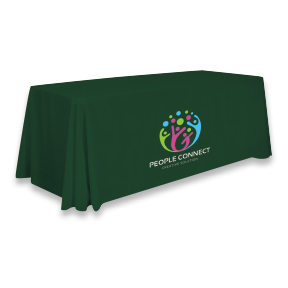 Sewn pocket provides more protection for tabletops and makes a great space for an imprint. Quilted back matches trim color. 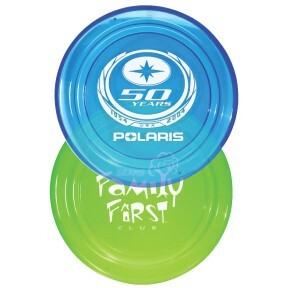 As Low As: $5.55 each! 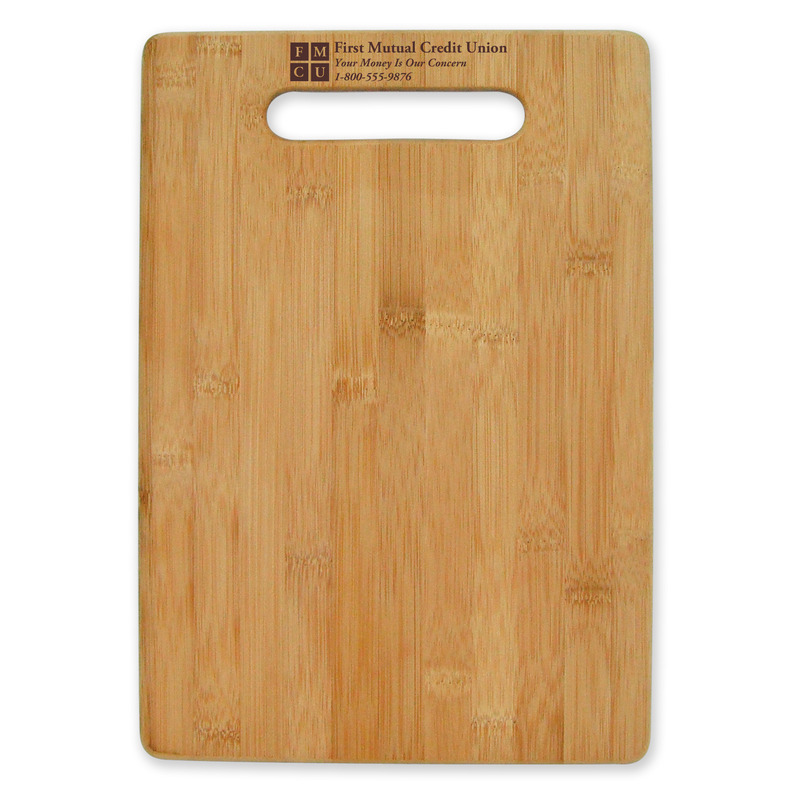 Large Bamboo Cutting Board. 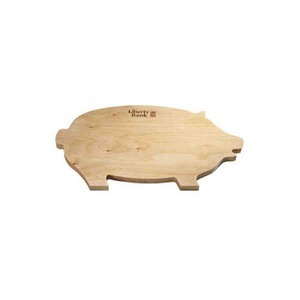 The perfect addition for any kitchen. 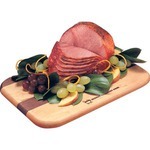 Cut small to large items on this cutting board! 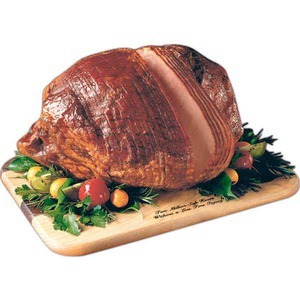 Due to natural material, each board may have slightly different color and grain patterns. 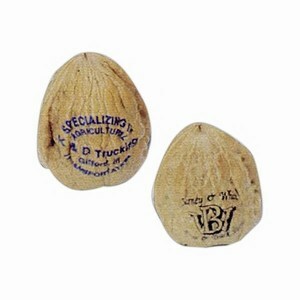 As Low As: $7.01 each! 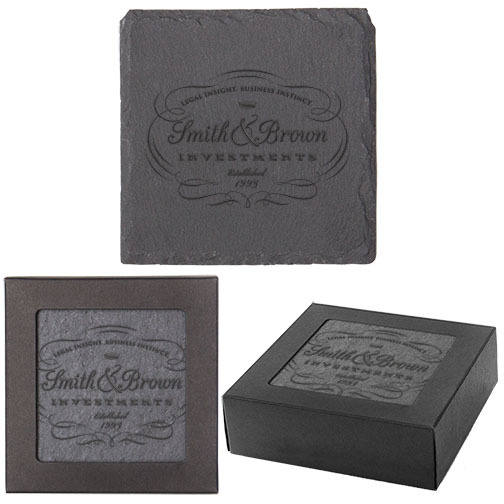 Square Slate Coaster Set. A modern coaster set to accent the room. 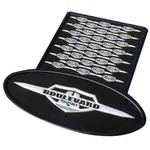 Each coaster comes with feet to protect furniture. Due to material coasters may vary slightly. As Low As: $1.11 each! 24oz. Prestige Bottle. 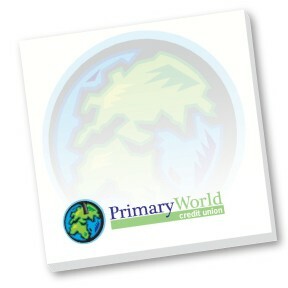 A prestigious backdrop for your logo and message! It's a sleek 24 oz. 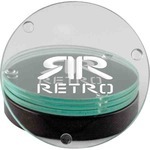 capacity item with a convenient flip top lid. 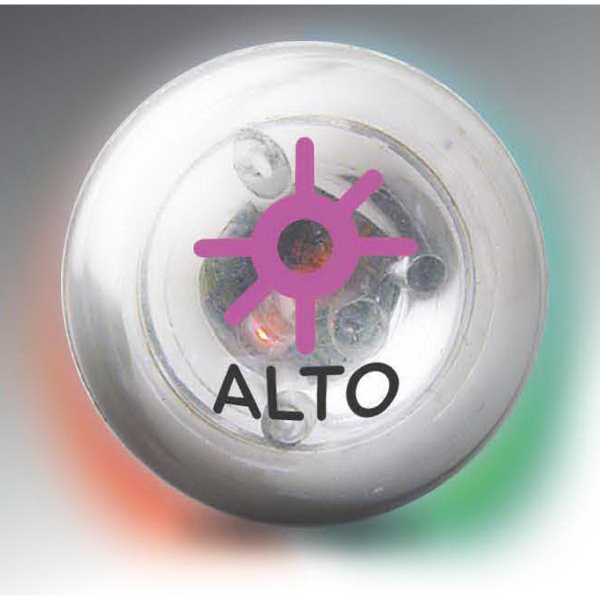 Mix and match 6 translucent bottle colors with 13 lid color choices for 78 possible combinations! 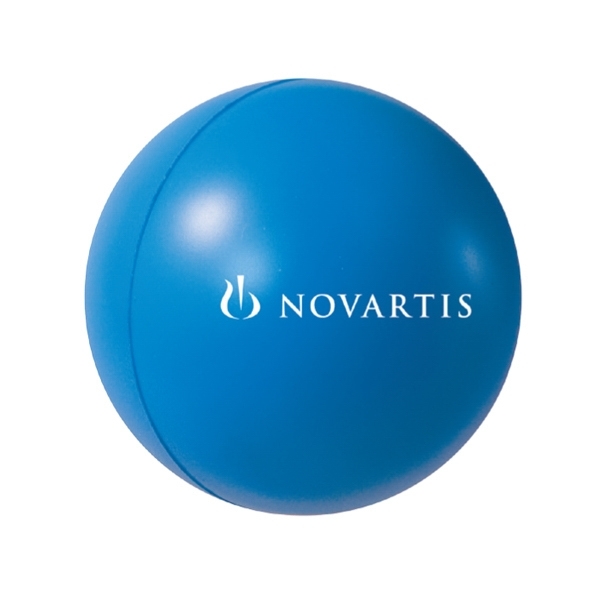 This is the perfect giveaway for any wellness event. 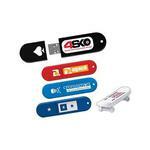 It's great for promotions at marathons, fun runs, basketball games, cycling events and so much more. BPA free. As Low As: $8.54 each! 20oz. Viking Tumbler. 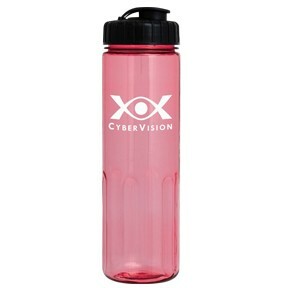 This double wall stainless steel tumbler is vacuum insulated with copper lining. It can keep liquid hot for 5 1?2 hours, or cold for 24! They can sip all morning long through a press-in lid. As Low As: $1.62 each! 11oz Stoneware Mugs. These 11 oz. 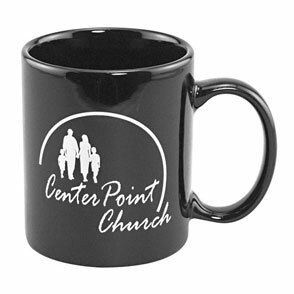 ceramic mugs are a classic choice for your promotion. 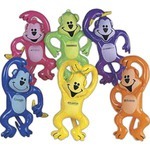 They feature a "C" handle and a great price! As Low As: $2.64 each! 25oz. 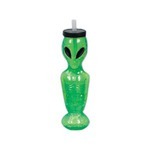 Aluminum Alpine Bottle. 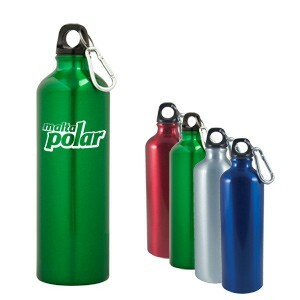 This alpine-themed durable BPA free sports bottle is safe & stylish! 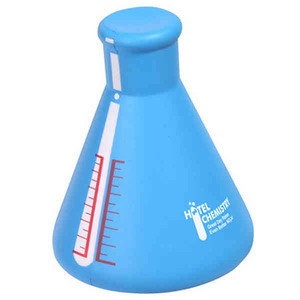 Holds up to 25 ounces of a favorite beverage, whether hot or cold. 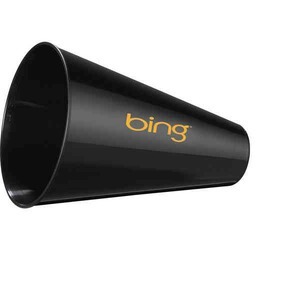 It features a black leak-proof screw-down lid with a mini metal carabiner attached. Perfect for hiking, fishing and camping, or for taking to the office or gym. As Low As: $1.23 each! 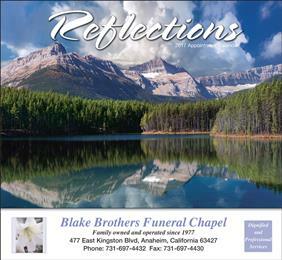 Reflections Calendar. Calendars are printed on quality gloss stock and stapled. Each shows 13 months' worth of full-color illustrations or photos. Calendars start with December 2018 and end December 2019. Each inspirational scene is accompanied by a monthly Bible verse. Features daily Bible verses too! 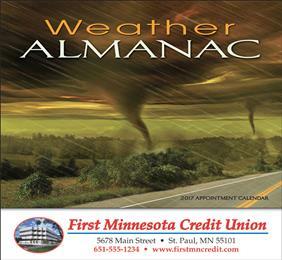 Weather Almanac Calendar. Spectacular photos depicting the dramatic power of weather. Filled with informative facts and insights. Calendars are printed on quality gloss stock and stapled. Each shows 13 months' worth of full-color illustrations or photos. Calendars start with December 2018 and end December 2019. 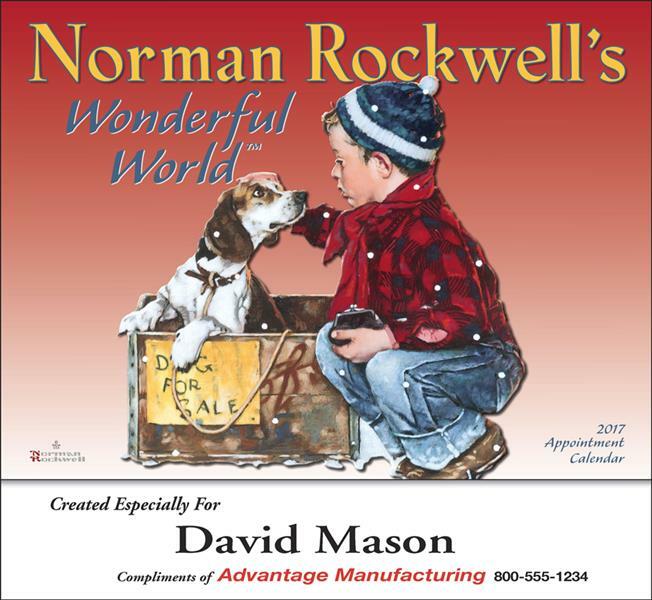 Normal Rockwell Calendar. Calendars are printed on quality gloss stock and stapled. Each shows 13 months' worth of full-color illustrations or photos. Calendars start with December 2018 and end December 2019. Each whimsical look at life illustration includes its own charming description. As Low As: $1.52 each! Cell Phone Card Holder. 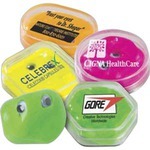 The Cell Phone Card Holder adheres to the back of cell phones with 3M Adhesive. 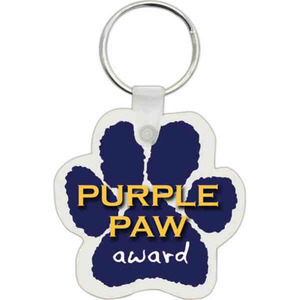 It's made from a durable silicone to stand the test of time and use. 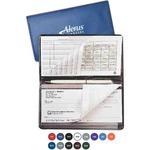 It holds up to two credit cards, which is perfect for running errands or even going out for the evening. It will fit on most phones and phone cases, and it's removable to move to a new phone. This convenient item will last for ages, and your logo and message will last right with it! As Low As: $0.54 each! 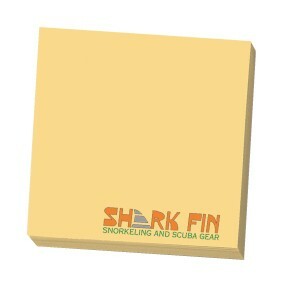 BIC Sticky Notes 3" x 3" - 50 Sheets. 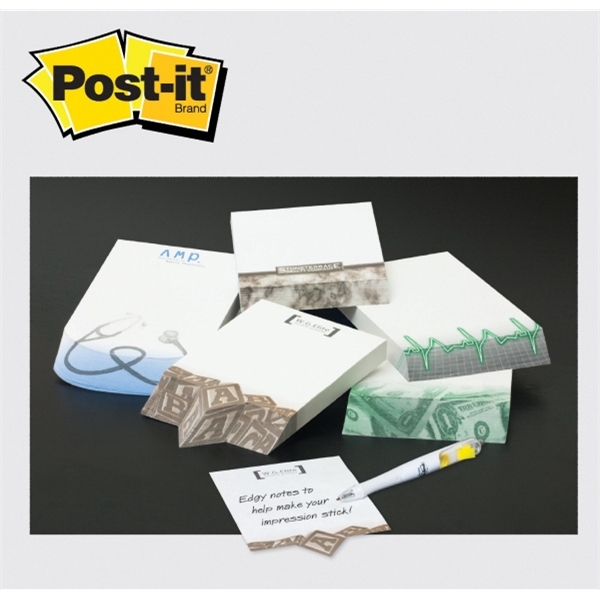 Repositionable adhesive notepads-50 sheets per pad. 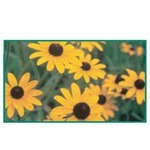 BIC Sticky Notes 3" x 3" - 25 Sheets. Repositionable adhesive notepads-25 sheets per pad. As Low As: $0.60 each! Red light with a safety whistle. Split ring attached to keep with you at all times. Squeeze to turn on light. Button cell batteries included. 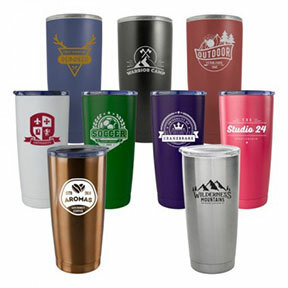 Custom Imprinted With Your Logo! 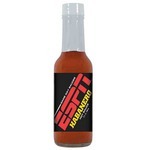 We've added this item to your shopping cart.